I was shopping at the Landmark grocery a few weeks back and had noticed they had some Haas avocados. 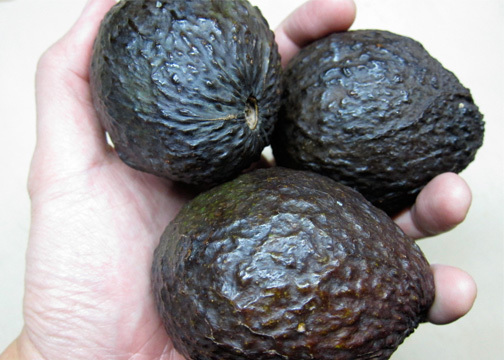 They’re smaller in size than our local avocados and they characteristically have this darker, harder bumpy skin. 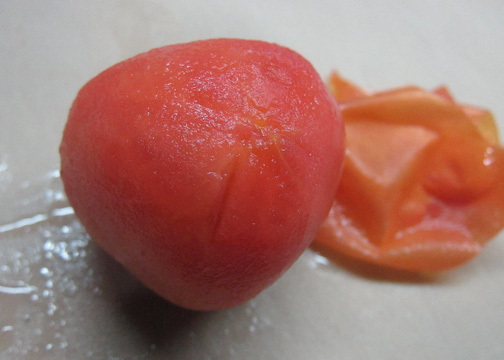 But the inside of the fruit is just luscious. 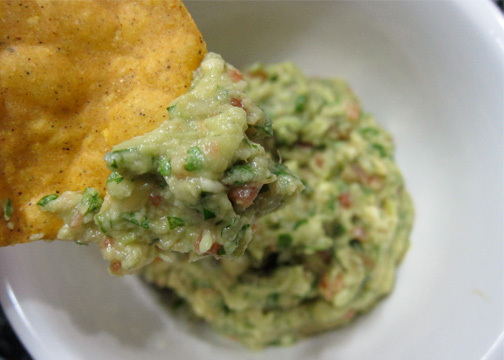 Incredibly smooth, dense, less or non-fibrous and makes for the best guacamole. 1 medium tomato (or 2 small ones). Peeled, seeded, finely chopped. Gently squeeze out the extra moisture. 1 serrano chili chopped fine. I used a green bird’s eye. You’ll want a hint of heat, not in-your-face. Juice of half a lime. Or whole, if you want a brighter profile. A generous pinch of sea salt. 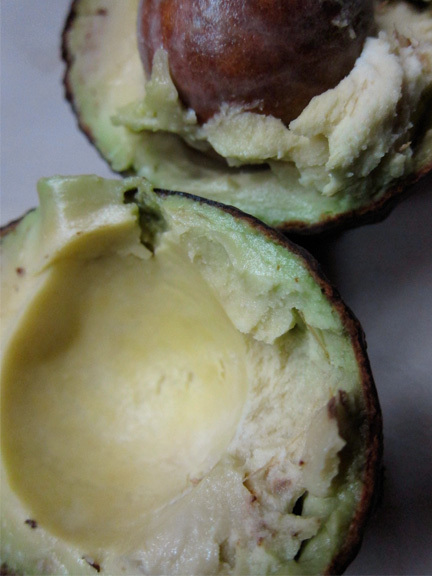 Halve and scoop out avocados in a bowl. Mash coarsely. You’ll want something chunky. Mix in the onions, chilies, lime juice, coriander and tomatoes. A good pinch of salt is essential for all the flavors to come out. Let this sit for about 10-15 minutes for everything to meld. And it’s that easy. Probably even fresher and better tasting than in any restaurant. The type of avocado used will make a world of difference. Though the local varieties work fine; it just won’t be the same texture-wise. But for now… it’s your cue to grab a bag of chips.